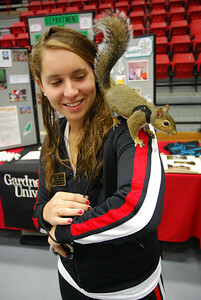 Freshmen representative, Michelle Palacio, multitasks at the faculty fair being the "squirrel wrangler" and talking to future students about Honor Students Association. 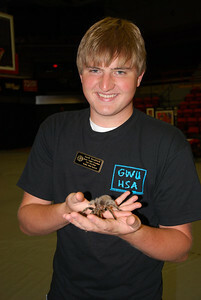 At the faculty fair for Dawg Days, Derek Breakfield holds the tarantula and talks about GWU's Honors Association. A student panel session was held during Dawg Days to answer future students questions. 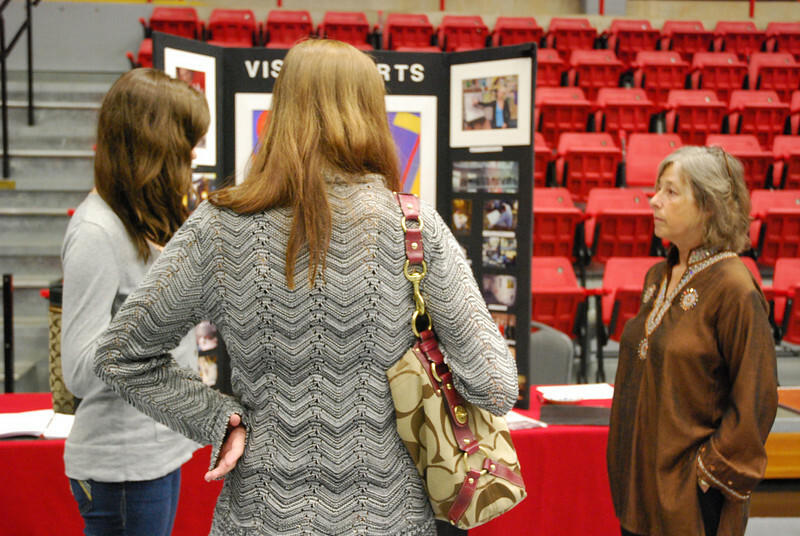 At the faculty fair, Dr. 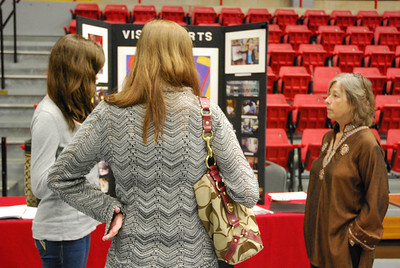 Bottoms talks about the visual arts programs at GWU. 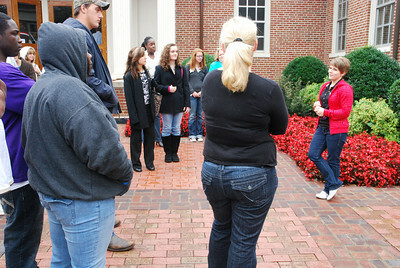 Stephanie French leads a Dawg Days group on a campus tour.